Having a member of your family fall ill and being taken care of by a care giver or nurse can be worrying for you. You want to ensure that your loved one is in safe hands, and will be well taken care of. 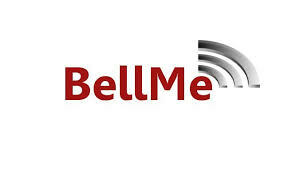 At BellMe, we supply wireless Nurse Call light systems. Similar to our wireless nurse call systems containing a call button and a wrist watch receiver, our nurse call light systems consist of a call button, a cancel button, and a LED light. 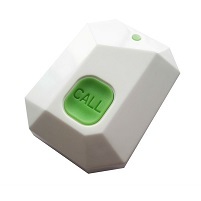 As mentioned above, Nurse Call light systems consists of a call button, a cancel button as well as a LED light. The call button can be placed at the bed-side of the patient. Alternatively, the button can be worn around the neck on a lanyard, so the patient can request help no matter where he or she is in the house. The button is water-proof as well as wireless, so the patient can wear it in the bathroom or shower as well, ensuring immediate assistance at the touch of a button. The LED light can be placed where the care giver will be. When the patient presses the call button, the LED light will beep and flash red, alerting the care giver that the patient needs assistance. Once the care giver hears the beep or sees the LED light flashing red, she can press the cancel button to cancel the request and attend to the patient. The nurse call light system (LED light) has a few settings, catering for different environments. The light will flash red when the call button is pressed. There are three sound settings. Loud, medium and silent. The ‘loud’ sound’ setting is recommended because the care giver will hear it no matter where she is in the home. 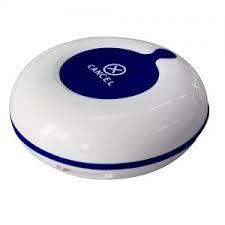 The nurse call light system can also include a watch, that the care giver can use. The wrist watch receiver can be worn on the wrist and will beep and vibrate alerting the care giver that the call button has been pressed. Where else can nurse call light systems be used? 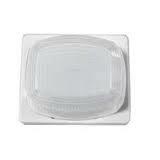 Nurse call light systems can also be used at hospitals and retirement homes. LED lights can be strategically placed in the corridors, as well as at the nurse stations. Up to ninety call buttons can be programmed to one LED light, making LED lights the perfect nurse call light system to use in retirement homes and hospitals. The nurse call light system can also be put above the doors of each hospital ward, or each room in a retirement home, to make it easier for nursing staff to know which patient or resident needs attention. The light can also be used with a three-key call button. The different buttons on a three-key call button can stand for different things, depending on the preference of the hospital or retirement home. The LED light could also be placed at the dispenser at a hospital or retirement home, and the patient can press the call button, alerting staff that they need some assistance. Also at the admissions queue at any hospital, a LED light can be placed at the counter, alerting the next patient when staff members are ready to assist them. The advantage of having such a device for providing light and sound, is if, for example, there is a visually impaired, or a hearing impaired person in the queue, waiting to be attended to at the additions desk. The visually impaired, or hearing impaired person will be able to follow the queue by listening for the beep of the light or seeing the light flash red. Another great benefit of having the Nurse Call light systems, is for care givers and nurses to keep track of which patient pressed a call button, by simply looking at the lights above the doors of the patients rooms. Nurse call light systems are flexible and can be used at a private residence, hospitals, retirement homes or even at any other healthcare facility.